Horse Sale Videos: What You Can't See Might Hurt You! 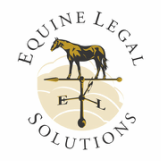 At Equine Legal Solutions, we hear from a lot of unhappy horse buyers. Many of them bought a horse sight unseen on the basis of sale videos and the seller’s representations about the horse. When the horse arrived, it wasn’t what the horse buyer thought it would be. Most of the time, the seller refuses to take the horse back or refund any of the dissatisfied horse buyer’s money. And often, the buyer can’t even resell the horse because it is unsound, unsafe or otherwise not marketable. The cost of going to try a horse in person is often negligible compared to the cost of purchasing and caring for an unsuitable horse. Here are six things you can’t tell from a horse sale video. The Internet is chock-full of horses advertised as bombproof, kid-safe, husband-safe, grandma-safe, etc. Many sale videos for these horses show small children riding the horse, and some even show the horse unfazed by tarps, beach balls, pool noodles and people standing on its back or crawling underneath it. Sometimes, the horse seller even has a slick website touting the seller’s ability to find and train nice horses for children and families, complete with glowing testimonials from happy horse buyers. However, an experienced horse seller can make practically any horse look quiet in a video. Some horse sellers have no problem putting their kids on a potentially dangerous horse just to make a sale. Dishonest horse sellers can drug the horse, work the horse excessively before making the video and/or keep taking video footage until the horse is quiet and well behaved. If you saw the horse in person, you’d probably notice if it seemed unusually sleepy, was sweaty, or had dried sweat marks, but when the horse is being ridden in a video, it’s a lot more difficult to see. And if you go try the horse, you’ll probably be able to tell if the horse is too much horse for you. No horse seller in their right mind will post a sale video showing the horse bucking, kicking out, or pinning its ears. But if you went to try the horse in person, that behavior would be much harder to hide. And there is the X factor of what makes a horse and rider click, which is nearly impossible to detect without seeing the horse in person. In a sale video, a skilled rider can make a green horse look much more finished than it really is. If you went to try the horse in person, you would be able to tell right away if the horse is as well trained as it looked in the video. A horse sale video might show a trail horse being ridden through water or over obstacles, but if you are looking for a safe, fun horse to ride on the trail, there is no substitute for going to try the horse. If you take the horse on a trail ride, you’ll quickly find out if the horse is barn sour, jigs the whole ride, spooks at everything that moves, feels like a keg of dynamite, has to be in the lead, etc. Height inflation is very common in horse sale advertising. Sometimes, the seller is honestly mistaken, but other times, the seller deliberately misstates the horse’s height to appeal to more buyers. If you went to try a horse advertised as 16 hands before buying it, you’d notice if it was only 15.2. However, when you are watching a sale video, it’s hard to tell what the horse’s true height is.